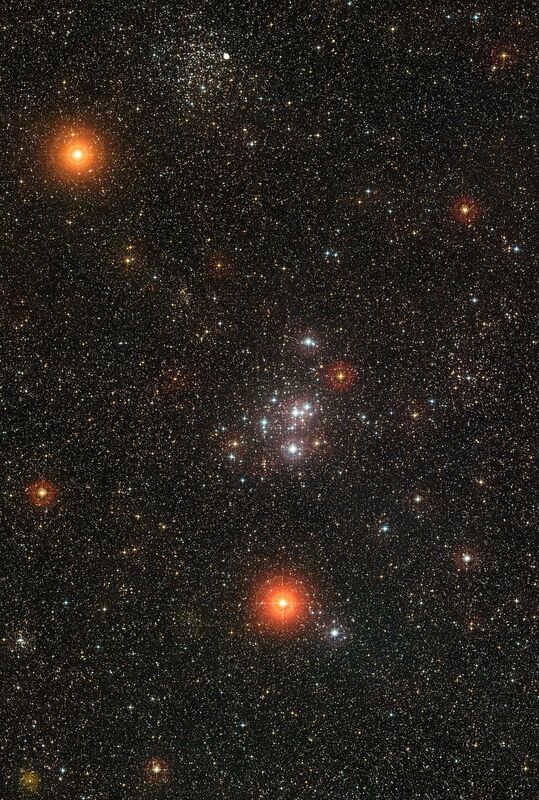 This wide-field image shows part of the constellation of Puppis (The Poop). This region of the sky includes some bright star clusters, chief amongst them Messier 47, in the centre, and its contrasting sister cluster Messier 46, near the left-hand edge, which is richer in stars but more distant. 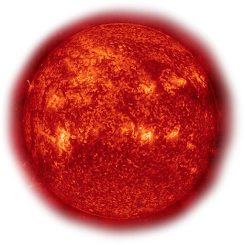 This picture was created from images forming part of the Digitized Sky Survey 2.